Don't let your best friend lie on dirty carpets. Conveniently serving P1A 4H4 and all surrounding areas in North Bay, Nipissing. Most stains, any surface and some of the best value at Carpet Cleaning North Bay. Everyone loves a fresh-smelling home. That’s why you do your best to keep your home looking great by keeping it clean. But every time you walk through the door you can’t help but notice your home smells old and musty. Pet stains can be stubborn, and even after cleaning them several times with bottled cleaner the stain and smell can remain. There’s no need to stay frustrated any longer. Chances are no matter how much you’ve cleaned your house, your carpets need to be serviced. Over time dirt, grime, stains, and smells seep deep into the carpet. Even if you don’t see any mess, the smell can reach the carpet’s pad underneath where the smell is tough to get out. Stains become stubborn and store-bought carpet cleaners aren’t enough to get rid of them. If you have tough stains or smells in your carpet, you need Carpet Cleaning North Bay. Our experts goal is to make sure that carpet is clean and smelling fresh like it did when it was first installed. We can clean any make and style of carpets, upholstery, area rug, and furniture in any home, office, commercial building, or even your car. We are your local carpet cleaning experts using top carpet cleaning equipment and talented technicians. We have some of the best carpet cleaning services and carpet cleaning prices in North Bay, Sturgeon Falls and West Nipissing. Carpet cleaning rentals usually only get the hard surface stains. We believe we go beyond the surface to renew and restore your carpet flooring. Don’t waste time and money with carpet cleaners that don’t work. Call us today. We offer a variety of cleaning services to meet most needs. From routine cleaning to heavy carpet cleaning, we take care of all types of carpet cleaning requests. We work hard so you don't have to. We are also your Persian and Wool carpet specialists. If you walk on it, we can clean it. We get in deep to remove the toughest stains and odors. Other companies only steam your carpets. We use deep clean carpet cleaners and offer pet odor removal. We are more than just your local mobile carpet cleaning company. Most carpet companies stop at shampooing your carpets and rugs. We go beyond that to deliver great upholstery cleaning, rug and carpet cleaning, upholstery fabric, steam cleaning, and other services. 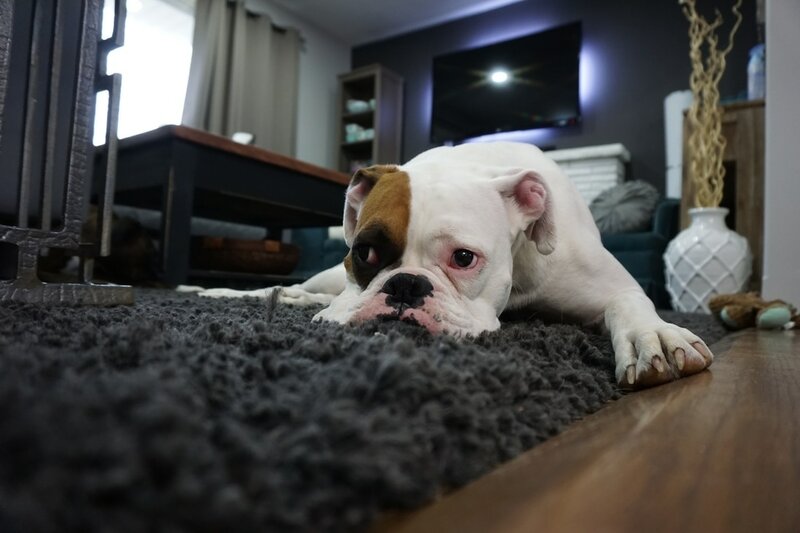 You may not think it, but dirty carpets could cause you, your family, or even your pets to become sick. This is especially true when they crawl around on old dirty carpets. Trapped mold and mildew spores, allergens, pollens, and more can be stirred about and make them sick. But by having your carpet and flooring properly serviced by the professionals at you can keep your family healthy and safe. Call 705-482-0370 today. When you need carpet cleaning at great rates and the best service you need us. Other carpet cleaning companies rely on carpet cleaning coupons, Groupons, and other discounts and specials to win your business. We don't need to because we’re the affordable carpet cleaner. 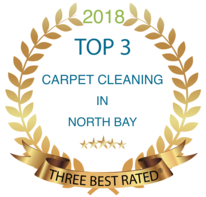 We don’t need gimmicky carpet cleaning deals when we’re already one of the best values in North Bay. We offer only the best in carpet cleaning in North Bay, Ontario. You don’t have to worry about carpet cleaning prices or getting a carpet cleaning estimate. We have some of the best values for cleaning your carpets than most. And if you still aren’t sure about getting great quality service at the best price, free estimates are available. We understand that not all carpet issues are beverage spills and pet related. That’s why we do more than steam and shampoo carpets. When you experience severe messes or water damage, you need the best carpet cleaning in North Bay. Don’t spend thousands on replacing your carpet when we can restore, renew, and refresh most carpets. Before you tear it up let us help you. They can add this to almost any surface, whether it is area rug cleaning, upholstery cleaning, carpet cleaning, or furniture cleaning, it will look and smell great every time. Best of all, we offer our carpet cleaning services to commercial, residential, and auto needs. Wherever you have carpet that needs to be steamed, cleaned, and deodorized we are here for you. ​Call Carpet Cleaning North Bay today at 705-482-0370 to schedule the best carpet cleaning in North Bay. You can also visit us on the web at www.carpetcleaningnorthbay.ca to schedule your carpet cleaning quotes, as well as testimonials, monthly specials, and our FAQ page with helpful carpet cleaning tips. Please contact me if you have any questions.